Illumination was founded in 2006 by the composer Miriam Mackie to perform music by living composers, alongside established repertoire from the high Renaissance and early Baroque periods. The choir rehearses in central London, performing two one-hour concerts and one full-length concert a year. 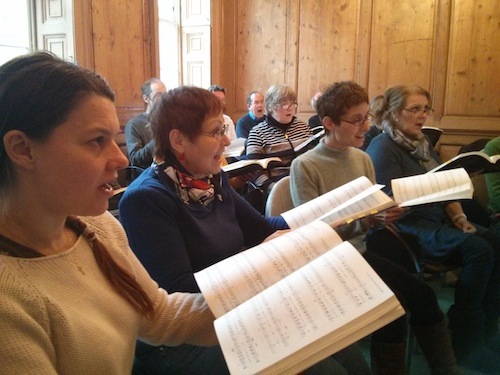 The choir occasionally performs outside London in the summer, and plan to give more concerts in Europe. Illumination are pleased to welcome the composer Alexander Campkin who will conduct the choir from October 2014. London concert venues have included St James's Piccadilly, the Unitarian Chapel Hampstead, St Vedast alias Foster and St Giles-in-the-Fields. Illumination has also performed in Deddington in rural Oxfordshire, and Sproughton in Suffolk. In the summer of 2011 they gave two concerts in Liguria in association with The Meljon Singers.